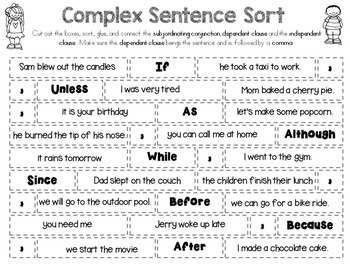 COMPLEX Sentence Sort! 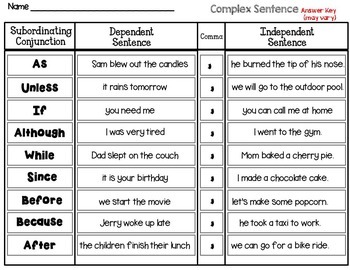 (Comma version, where the dependent clause begins the sentence). Set #2 is available here. To get the NO comma version (different sentences) , click below. 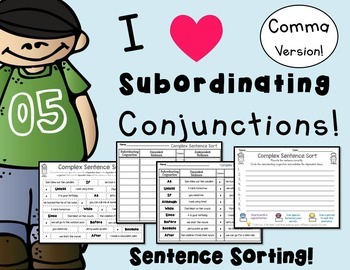 This interactive activity will remind them to paste the subordinating conjunction, dependent clause, comma and the ending independent clause in the correct order. This packet is also a great review for punctuation. 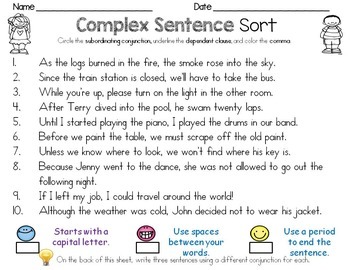 Activity #2, Circle the conjunction, underline the dependent clause, and color the comma.